Transurban Queensland (TQ) was the first proponent in Queensland to take advantage of the Queensland Government’s Market-Led Proposal framework and the first to proceed to contract close following a staged assessment process. TQ operates and maintains the Logan, Gateway and Gateway Extension motorways under a long-term agreement with the State and proposed a $512 million enhancement to the Logan Motorway and Gateway Extension motorways. 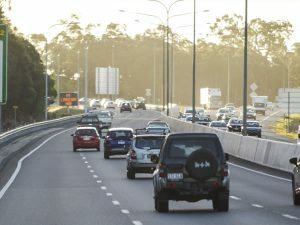 Queensland Treasury partnered with the Department of Transport and Main Roads to undertake a thorough assessment of TQ’s detailed proposal and was satisfied that the project was commercially sound and would deliver positive outcomes for Queenslanders. Under the Logan Motorway Enhancement Project, TQ undertook a range of improvements to the motorways and surrounding roads to improve driver safety, reduce travel times, relive local traffic congestion and enhance connectivity with other major road networks. Following a competitive tendering process, CPB Contractors was contracted by TQ to undertake the works. Full project information at Logan Enhancement Project, email contactus@loganenhancementproject.com or phone 1800 195 308. A project overview can be found on the State Development MLP site.